Her debut in Art was at an early age. Of Lebanese origin, Omayma Ydlibi Soubra was born and raised in Manchester, England. Omayma moved to the Middle East in 1968 where she studied art professionally in Beirut, Lebanon. In 1974, she received a Bachelor’s of Arts in Fine Arts from ALBA (Academie Libanaise des Beaux-Arts). She went to live in Jeddah, Saudi Arabia in 1976. Omayma’s first teaching experience in art came about when she introduced painting to her friends. From setting up a small art school in her garden, she fell in love with teaching. Omayma helped in establishing the first art school in Jeddah and continued painting and educating art for many more years there. Back in the Lebanon, she founded her own art school “The Artwork Shop” in 1996 and continues exhibiting regularly in the Lebanon and abroad. 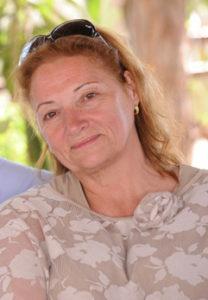 Omayma Ydlibi Soubra is a well-established and recognized artist and art teacher. She is known for her colors and abstract floral work. Her creations consist of oil on canvas, pastels, and mixed media and can be found all over the world, from Dammam International Airport to Canada, including palaces in Saudi Arabia. “St. Judes Cancer Research Center for Children” and “Medecins Sans Frontieres” are some examples of the charities Omayma has been involved with through her work. 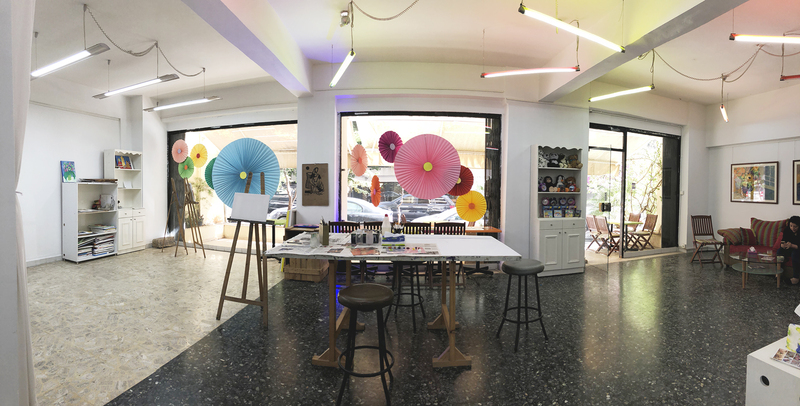 The Artwork Shop is the extension of Omayma’s on-going life’s work, is devoted to everyone who loves art, and is dedicated in supporting the community of Ras Beirut, Lebanon.